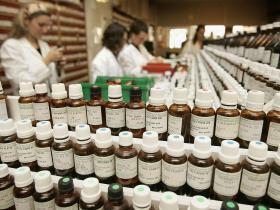 Homeopathy could be banned from UK’s Public Health System. Doctors could be banned from prescribing homeopathy on the NHS under a consultation set to be launched by the Government. Ministers say they will consult next year on whether the controversial practice should remain as an option for GPs. The bulk of scientific opinion however considers homeopathy to be a pseudoscience with no grounding in fact. “With rising health demands, we have a duty to make sure we spend NHS funds on the most effective treatments,” George Freeman, the Minister for Life Sciences, told the BBC. The ban would see the practice added to “Schedule 1”, a blacklist of drugs GPs are not allowed to prescribe. Homeopathy is not currently available on the NHS in all areas of the country, but there are several NHS homeopathic hospitals. Some GP practices also offer homeopathic treatment. A 2010 House of Commons Science and Technology Committee report on homeopathy said that homeopathic remedies perform no better than placebos, and that the principles on which homeopathy is based are “scientifically implausible”. The total NHS spend on the practice, including GPs and homeopathic hospitals, is relatively small: around £4m. There is no legal regulation of homeopathic practitioners in the UK. This means that anyone can practise as a homeopath, even if they have no qualifications or experience. Previous Previous post: Exposing the hypocrisy of “moral superiority” and rampant child abuse in many Muslim countries.